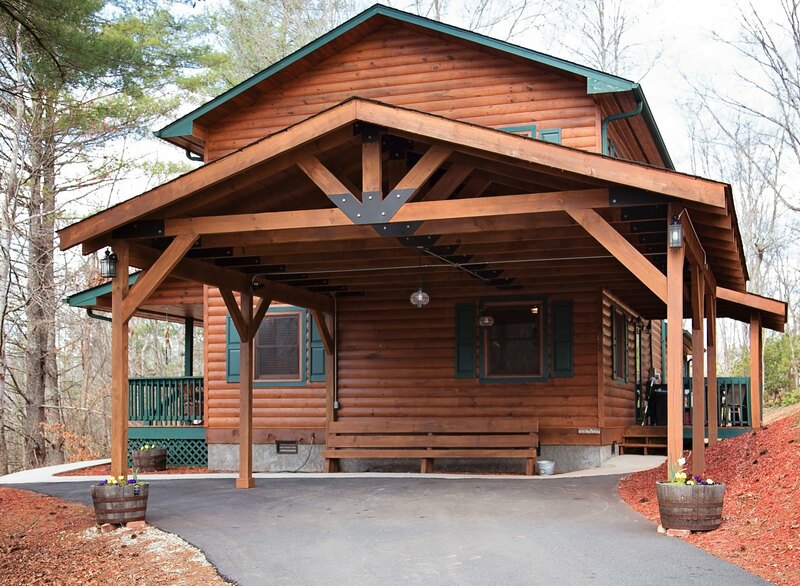 The Woodlands cabin is a 4 bedroom, 3 bath log home with high end features on two levels. This cabin has Wi-Fi, High-Speed Internet, cell service, high speed internet and paved access. It has two great rooms, one upstairs and one downstairs to accommodate 2 families or a large group. 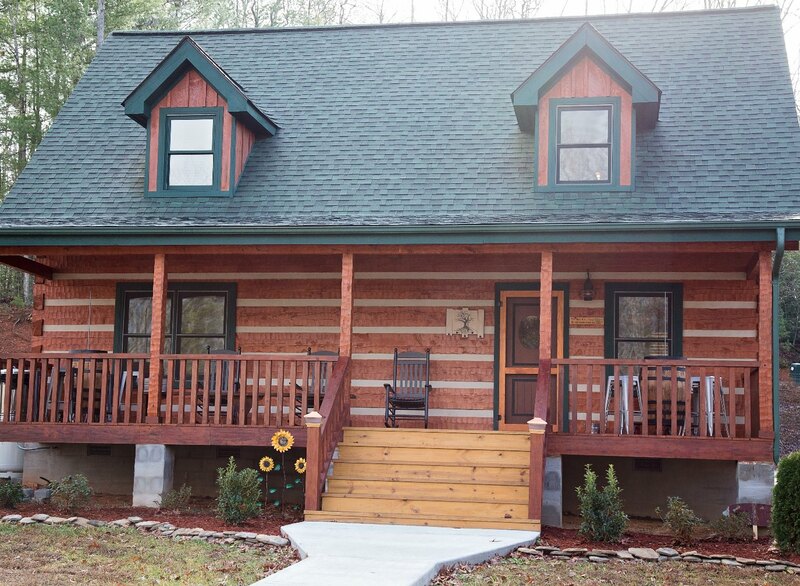 The Walnut Gap cabin is a 3 bedroom, 2 bath authentic log cabin on two levels. 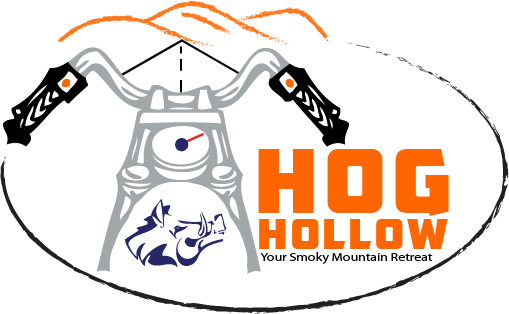 This cabin has Wi-Fi,High-Speed Internet, cell service, high speed internet and paved access. The lower level has two bedrooms with queen beds The upstairs is a massive queen sized log bed in the master bedroom with a full bath along with a loft area that contains a sectional and large screen TV.